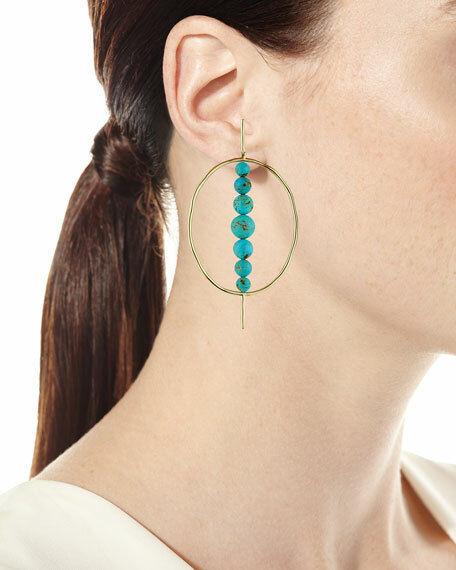 Ippolita hinge oval earrings from the Nova Collection. Polished 18-karat yellow gold hoops and hardware. Your choice of round multi-size bead stations.